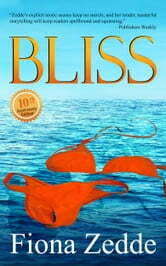 Bliss Sinclair's life of dull routine and unhappiness makes her imagination the only place she can find fulfillment. Until she meets Regina, a provocative writer who pulls her out of her head and into a sensuously real world alive with flavors and sensations beyond any she’d ever imagined. This real world is exciting and rich with irresistible pleasures, but Sinclair quickly learns these pleasures are not what they seem.